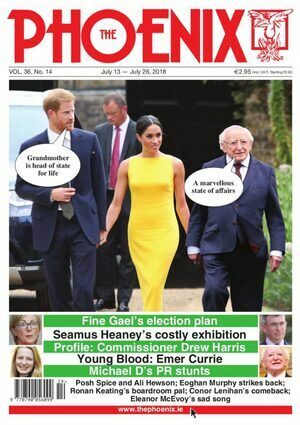 The Phoenix magazine’s 2018 annual. On all good shelves now. Posted in Misc and tagged 2018 annual, The Phoenix magazine at 2:05 pm on November 16, 2018 by Bodger. Latest edition of The Phoenix magazine. Posted in Misc and tagged 19/10/2018, The Phoenix magazine at 2:06 pm on October 19, 2018 by Bodger. UPDATE: this ‘came out’ last week. Sorry all. 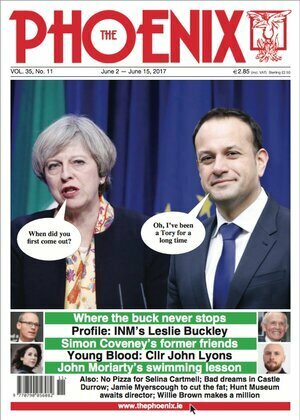 Posted in Misc and tagged The Phoenix magazine at 2:23 pm on June 7, 2017 by Broadsheet. 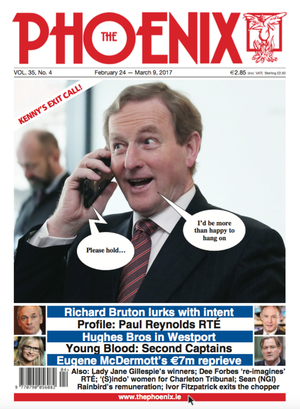 The cover of the new issue of The Phoenix – in shops today. Posted in Misc and tagged The Phoenix magazine at 5:06 pm on February 24, 2017 by Broadsheet. 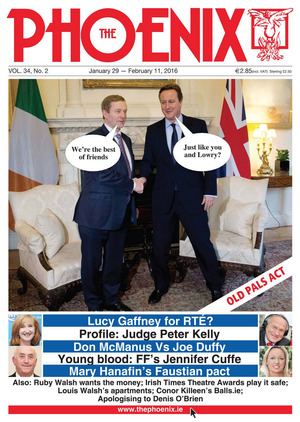 The cover of the current Phoenix magazine – in shops today. 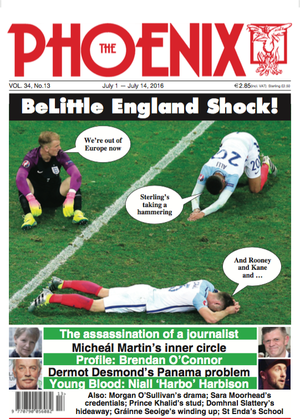 Posted in Misc and tagged 1/7/2016, cover, The Phoenix magazine at 1:27 pm on July 1, 2016 by Broadsheet. Anything Good In The Phoenix? 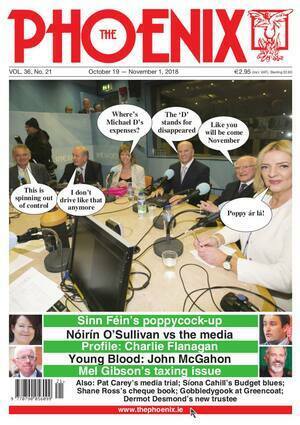 The latest edition of Phoenix magazine is in shops now. 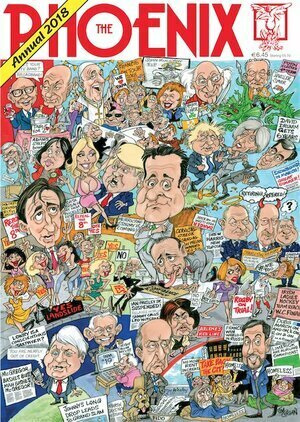 Posted in Misc and tagged The Phoenix magazine at 11:32 am on January 29, 2016 by Broadsheet.